Delhi-based designer Ridhi Mehra’s creations stand out in a sea of edgy and offbeat Indian wear owing to their demure chic vibe. The young designer, who has quickly catapulted into a name to reckon with makes sure that her ensembles are a happy marriage between European influences and Indian aesthetics…a throwback to an era gone by, if you will. Her elegant signature silhouettes have many fans especially Bollywood fashionistas (read everyone from Deepika Padukone, Sonam Kapoor, Priyanka Chopra and Parineeti Chopra to Madhuri Dixit, Karisma Kapoor, Kareena Kapoor Khan, Huma Qureshi and Sonakshi Sinha) and India’s fashion blogger royalty. Fresh from the success of her Lakme Fashion Week debut, the petite designer talks to us about her foray into designing, her signature styles, favorite Luxemi pieces and more! Luxemi: Tell us about the launch of your label. Did you always want to be a fashion designer? 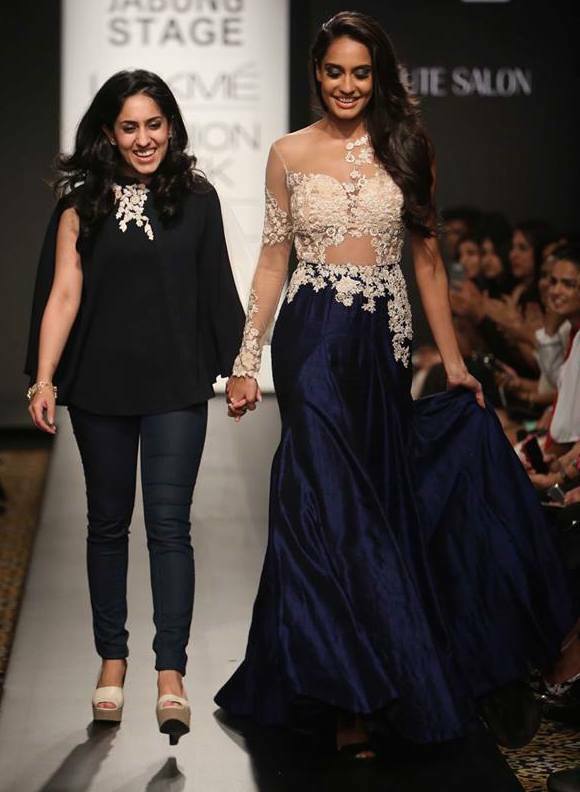 Ridhi Mehra: Designing is something that comes to naturally to me now but back in the day, I never really thought I’d pursue this career! Destiny has played a big role here. I started out as a business student and completed my education in management studies from The University of Nottingham in the United Kingdom. My mother and aunt were already established in the garments and retail industry in Delhi and I came back and joint their venture in the management department. That’s when I was drawn to designing. So I pursued a fashion design course at the National Institute of Fashion Technology in 2010 and launched my label in 2012.
Who is the quintessential Ridhi Mehra woman? 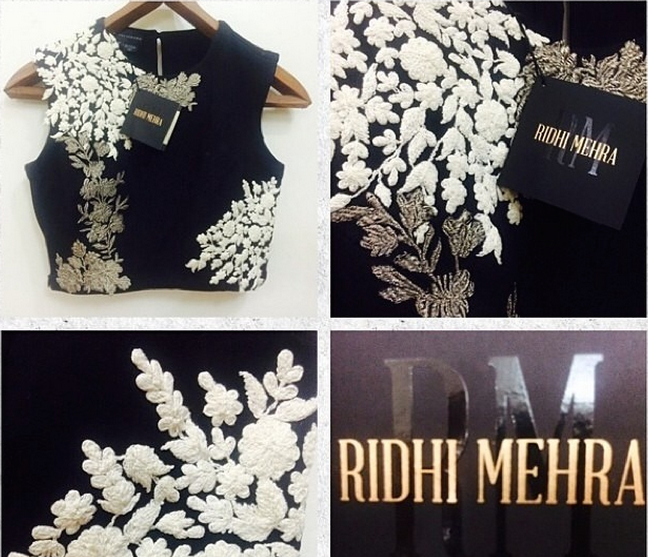 The Ridhi Mehra woman is one who believes in making a statement with simplicity. She is one who prefers her traditional wear to have a modern update, and that is my focus while designing too! How would you describe your aesthetic and signature styles? My label is associated with strong European influences, intricate and meticulous handcrafted detailing and an emphasis on fine tailoring and cuts. 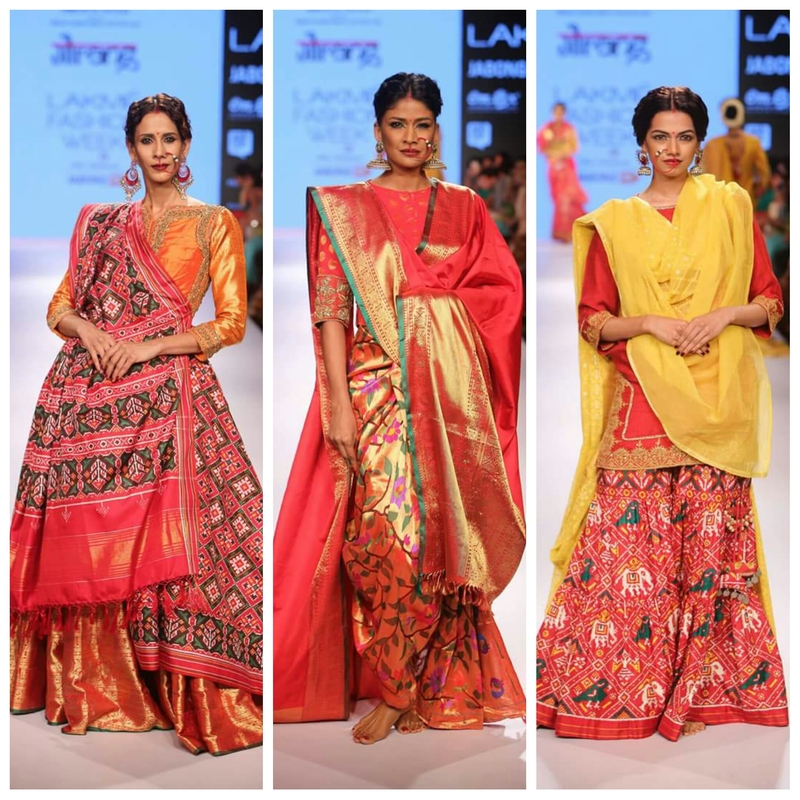 Our draped dupattas as well as shoulder and waist patches are our atypical touches. My new collection continues to feature our side placements and retains the stitched dupattas but also boasts of newer placements. We are also experimenting with traditional and sharara jumpsuits, embroidered shorts, capes and dresses. In the end, it’s all about dark romance with a clear partiality for all things vintage. 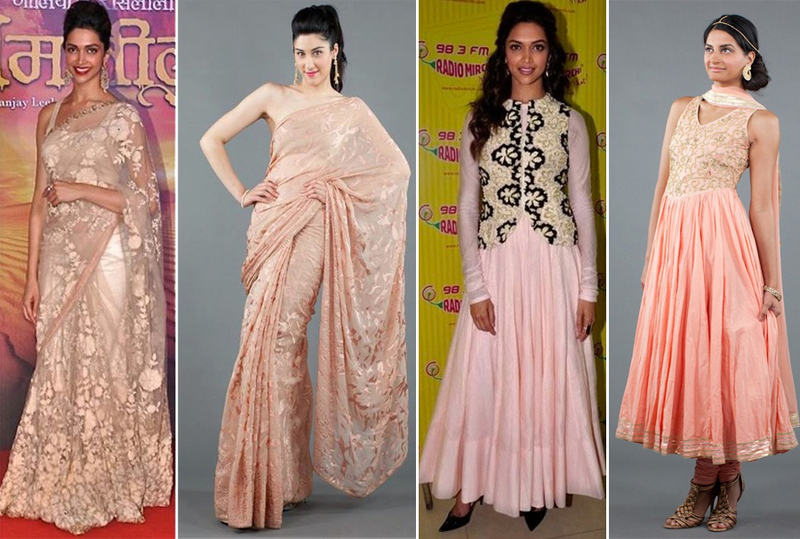 What are Indian wear must-haves for this festive season? An Indian embroidered jacket is a must as it can be paired with everything from anarkalis and shararas to lehengas and pants. A short anarkali with salwars is a trendy break from its voluminous counterpart but a classic full-length anarkali is a must! A stitched concept saree, though a tricky option, looks incredibly chic. Our embroidered crop tops are extremely versatile and easy to mix and match too. Who are your favorite celebrity stylistas? 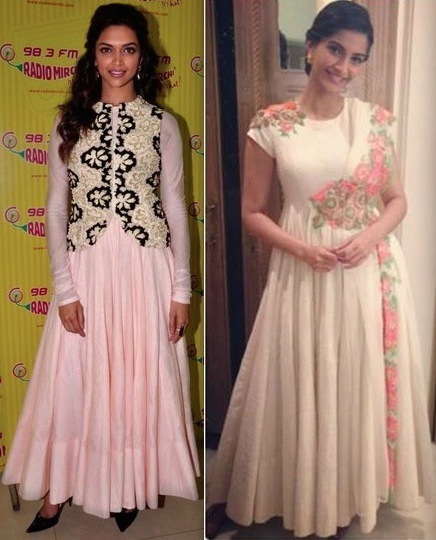 Sonam Kapoor and Deepika Padukone are my all time favorites; they carry everything with élan! A style advice that never fails? Which are your favorite pieces from Luxemi’s latest collection? 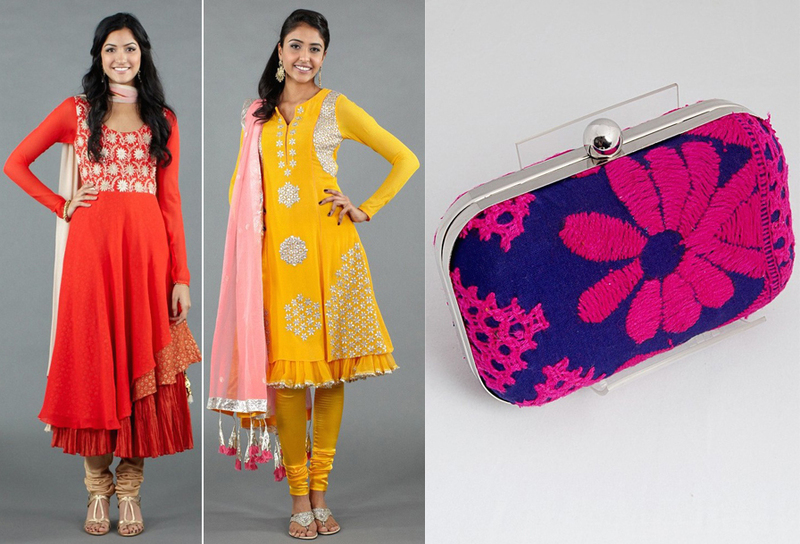 The Mango Salwar with Gota Embroidery by Nikasha, Gold Plated Silver Elephant Bangle by Amrapali, Navy Blue and Magenta Embroidered Flower Clutch by 5 Elements and the Orange Salwar with Asymmetrical Hem by Nikasha are my top picks from Luxemi. 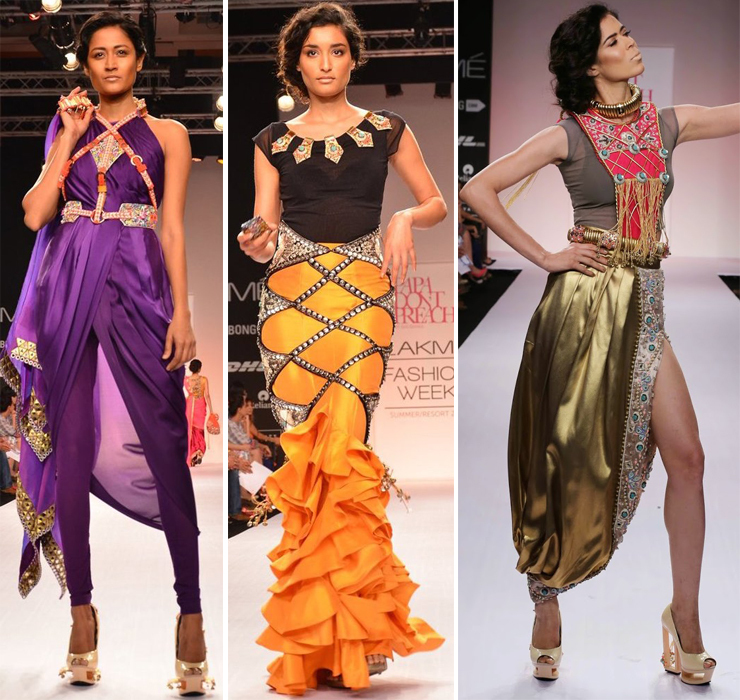 What do you think of Ridhi Mehra’s creations? Tell us in the comment box below! 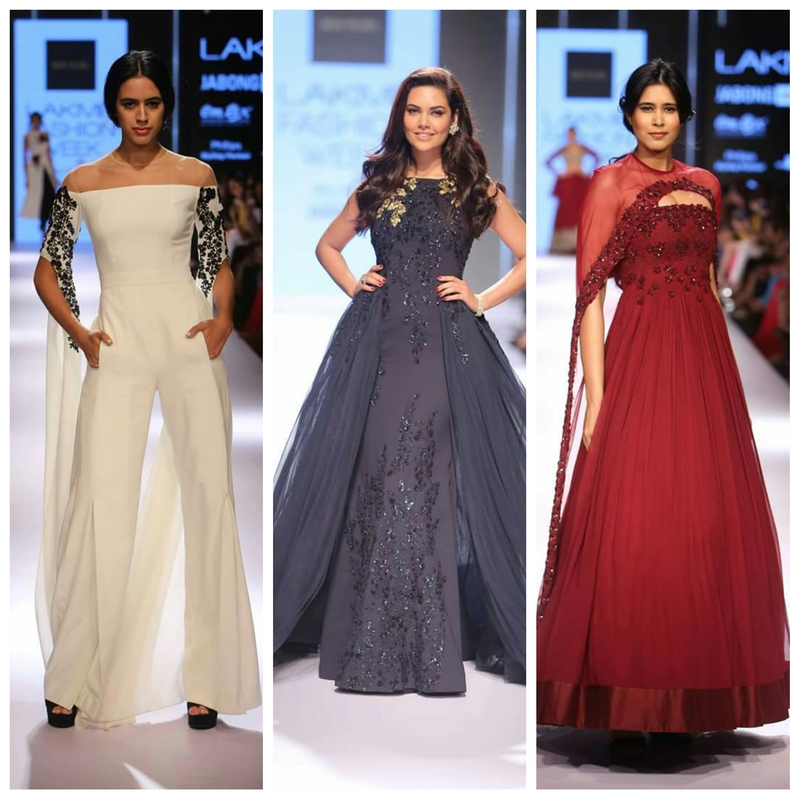 We aren’t going to lie, we love ourselves some beautiful creations by veterans like Manish Malhotra, Tarun Tahiliani or Abu Jani Sandeep Khosla — but we also believe in keeping our eyes on the newbies who foray into the industry. 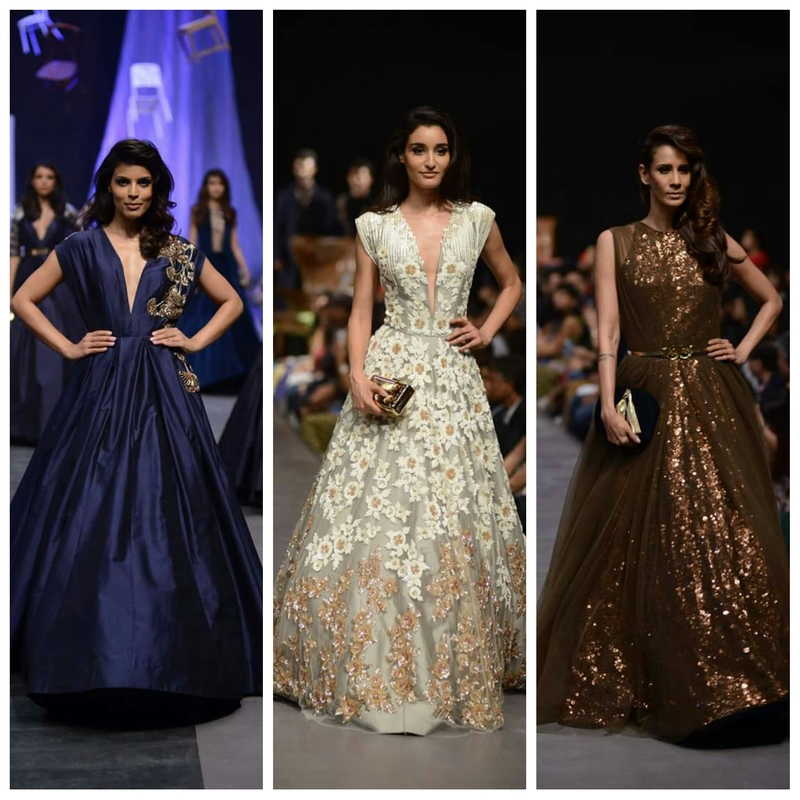 One of them could very well be the next Sabyasachi, right? As the industry opens its doors to embrace upcoming designers, it’s exciting to see the burst of talent out there. These new entrants aren’t afraid of pushing the envelope, have interesting stories to tell and are quickly creating a signature identity to reckon with. This week, we turn the spotlight on 5 particularly noteworthy ones who have caught our eye. Archana Rao won the 2012-13 Vogue India Fashion Fund award, so naturally, there’s no ignoring her. Launched in 2011, the label thrives on minimalistic, understated and contemporary designs, reminiscent of an era gone by. Be it her western ensembles or Indian renditions, Rao’s efficient creations are tailor-made for the woman who prefers making a statement with subtly in a sea of OTT sartorial choices. Launched by former graphic designer Ragini Ahuja in 2012, Ikai is all about mixing the new with the unconventional. The idea is to adorn boxy canvas-like silhouettes with edgy illustrations and animated details, a match made in sartorial heaven for the fearless Indian woman. We are crushing on the ease with which she mixes cheeky one-liners and traditional nuances with fuss-free silhouettes. Turn to her for a fun mehndi outfit! 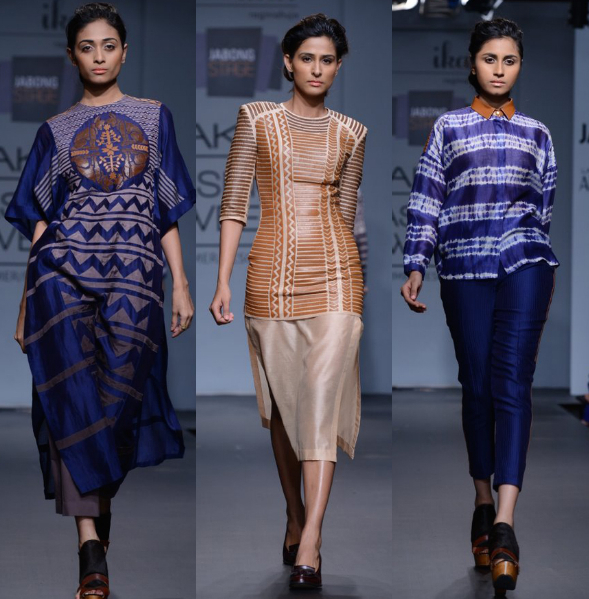 Did someone say fierce, edgy and bold Indian wear? Papa Don’t Preach, brainchild of Shubhika Davda, is not for the faint hearted. But if you’re someone who dares to bare and isn’t afraid to turn things up a notch, then this label is for you! We’re talking unexpected cut outs, barely there blouses, slit saris, a kaleidoscope of colors and unabashed use of gold and embellishments. Soup is a label launched by Sougat Paul who earned his design stripes at NIFT Kolkatta. 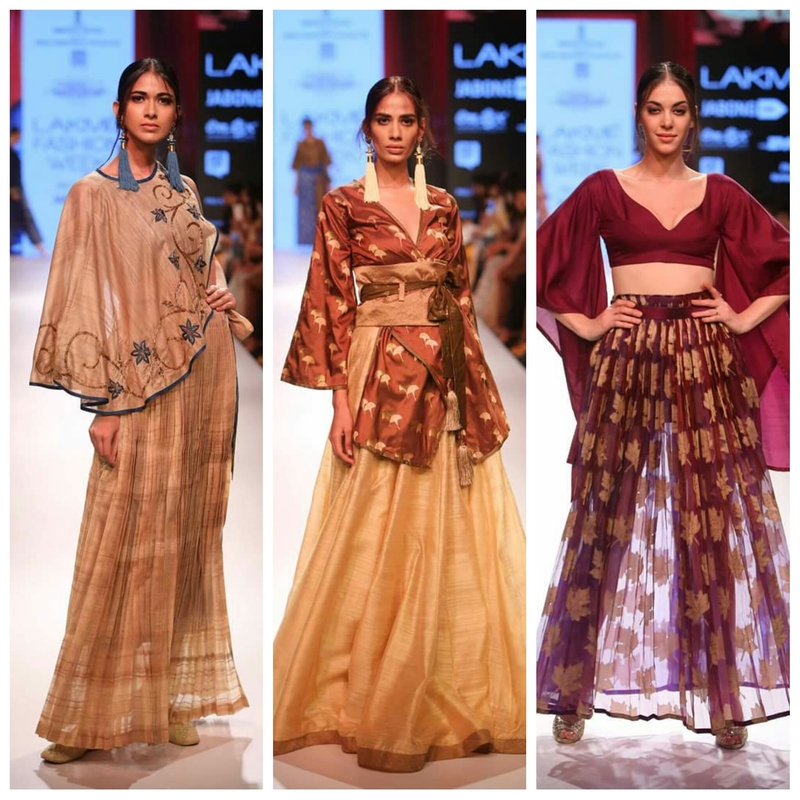 The Mumbai-based brand, which made its Lakme Fashion Week debut in 2010 has carved a niche for itself with its fresh take on conventional Indian wear. Classy with a dash of coy is what they’re all about. 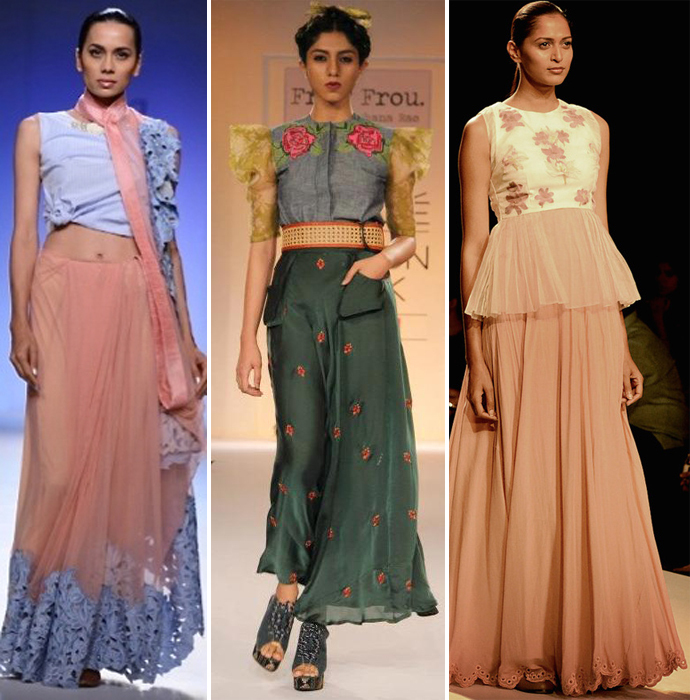 Delhi-based designer, Ridhi Mehra, has created quite the splash ever since her debut in 2012. 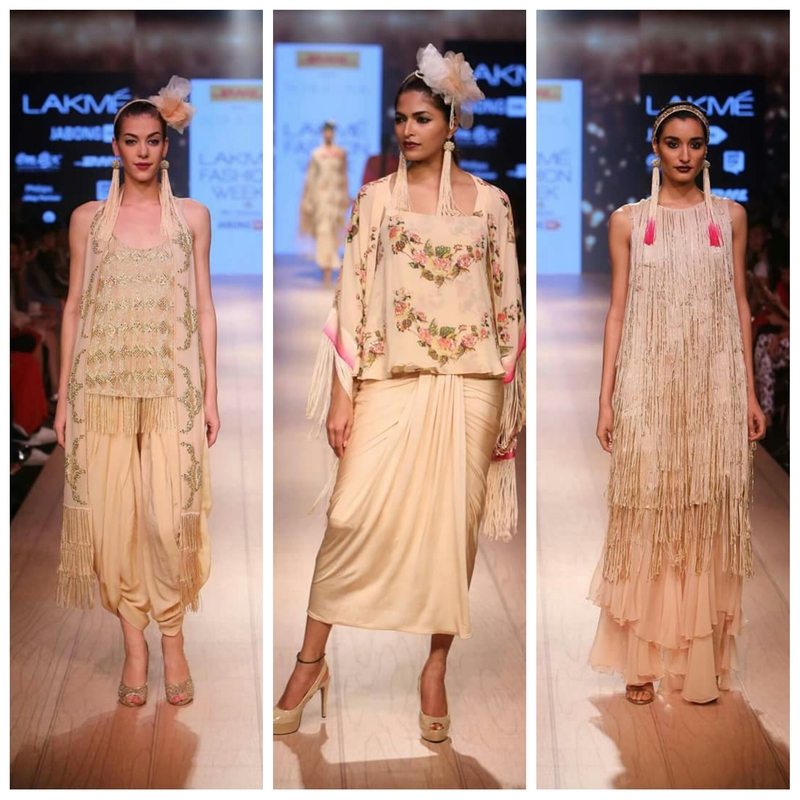 Her creations are a juxtaposition of essentially Indian embroidery and detailing with western cuts. 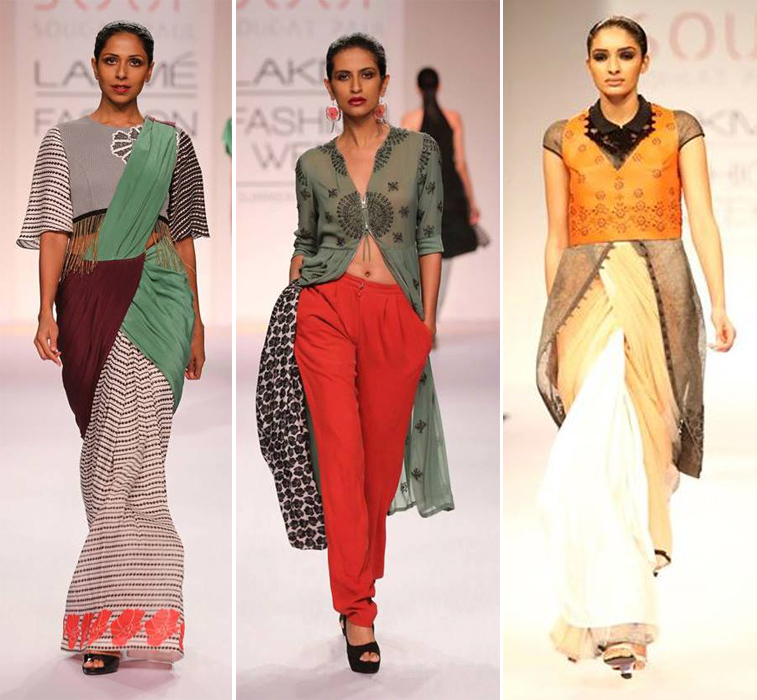 Her line is composed of anarkalis with midriff cotouts, Indian jumpsuits, jackets paired with dhoti pants and kurtas as well as versatile crop tops. Which designer strikes a chord with your style sensibilities? Tell us in the comment box! Deepika Padukone is our latest Bollywood girl crush. This doe-eyed beauty has earned some serious style cred with her recent super chic sartorial picks, making one thing very clear —this stylista can do no wrong. Ever since her movie Cocktail, she seems to be on a style roll, putting only her most fashionable foot forward. When I interviewed her a couple of months back, she simply brushed off this ‘style icon’ tag saying that she blindly trusts her stylist when it comes to her appearances (modestly skipping that not everyone can pull off the looks she does). And the stylist in question, Vogue India’s Anaita Shroff Adajania, constantly seems to be pushing the envelope when it comes to Padukone’s wardrobe. 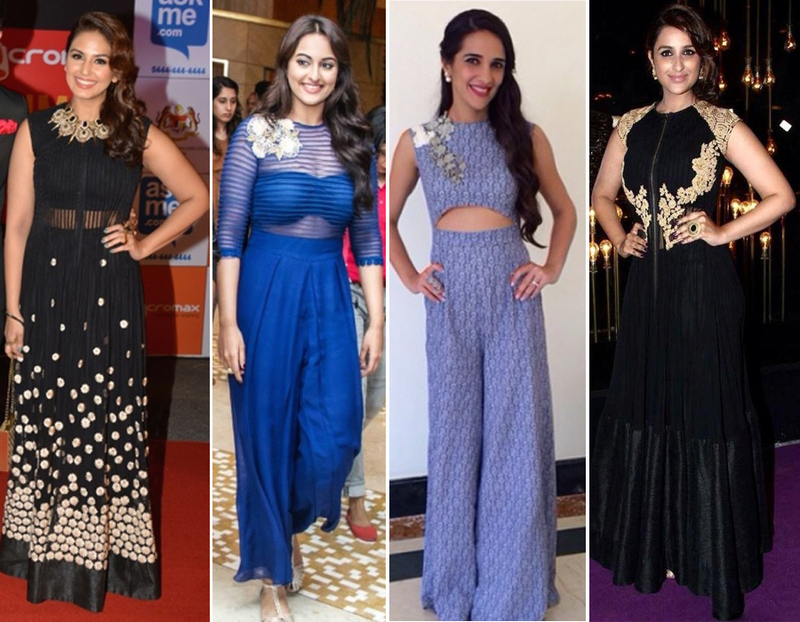 Here’s a round up of the looks we love most on her! Monochrome is a hot favorite with this B-town’s fashionista and it’s a look she wears well. 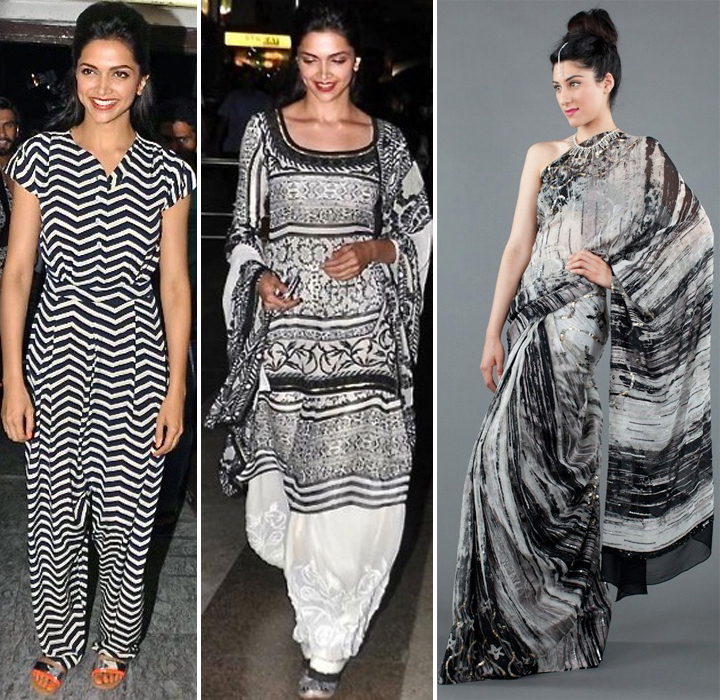 Take a cue from her and slip into our Black and White Hand Painted Saree by Satya Paul. Accentuate the look, as Padukone often does, with a pop of color by way of footwear, accessories or red lips. While most people shy away from muted colors for the fear of looking dull, Padukone (seen here in Sabyasachi and Ridhi Mehra) seems to have the trick to wear it down pat i.e. create talking points by sprucing it with statement earrings, an interesting updo and a radiant smile. Add this hue to your repertoire with Luxemi’s Peach Anarkali with Zari and Gota Work and Peach Burnout Saree by Satya Paul. But that’s not to say that she skips out on color all together. The fashion fraternity’s it-girl can pull off the most daring colors with effortless élan. We love this Rachel Roy jumpsuit she was spotted in recently. 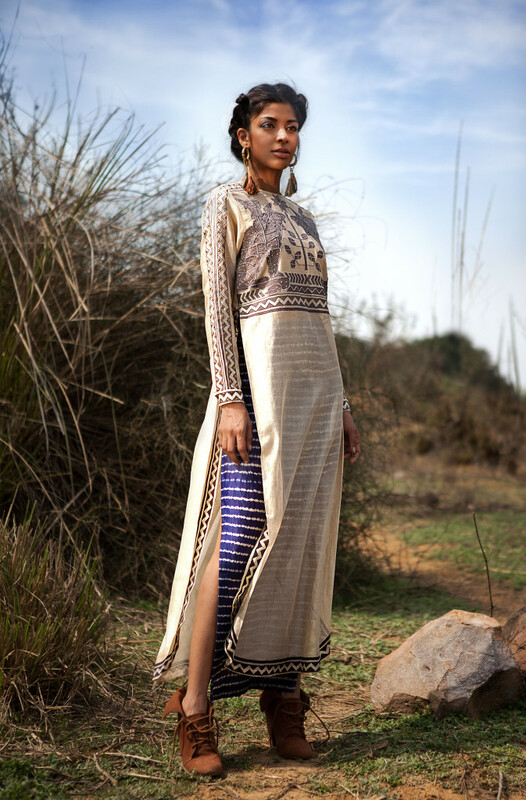 For those of you scouting for a similar desi ensemble, look no further than this Short Flare Salwar by Kisneel. Another trend Padukone has been quick to embrace is lace — be it in the form of dresses, tops or traditional wear. Our Gold Embellished Chantilly Lace Saree promises a touch of elegant sophistication, reminiscent of her looks. And now for the look we are totally swooning over — a winning juxtaposition of old-world charm with a contemporary vibe — is the pairing of traditional/kundan jewelry with western silhouettes. 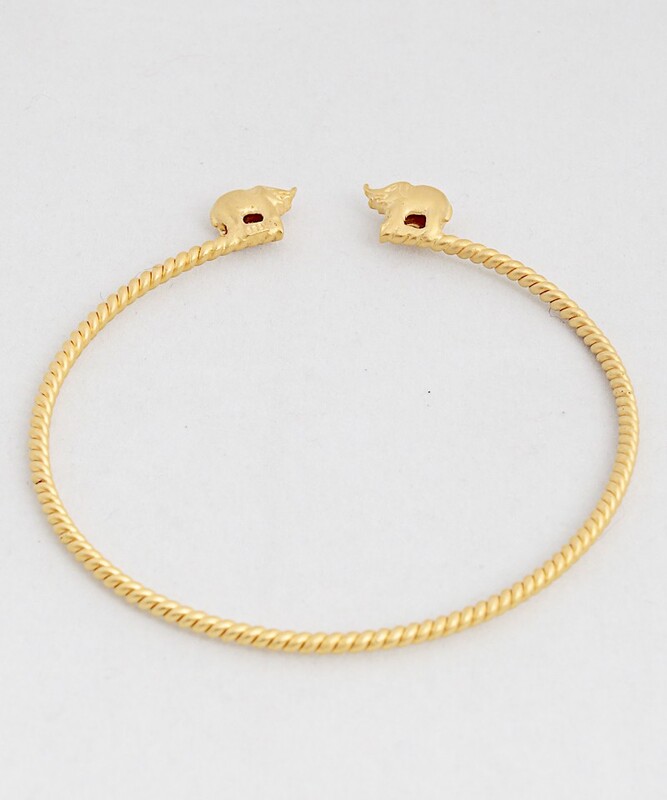 Snag this look easily with our Geometric Gold Kundan Set and Gold Kundan Collar and Earrings worn over a cocktail gown or LBD at your next formal soiree. 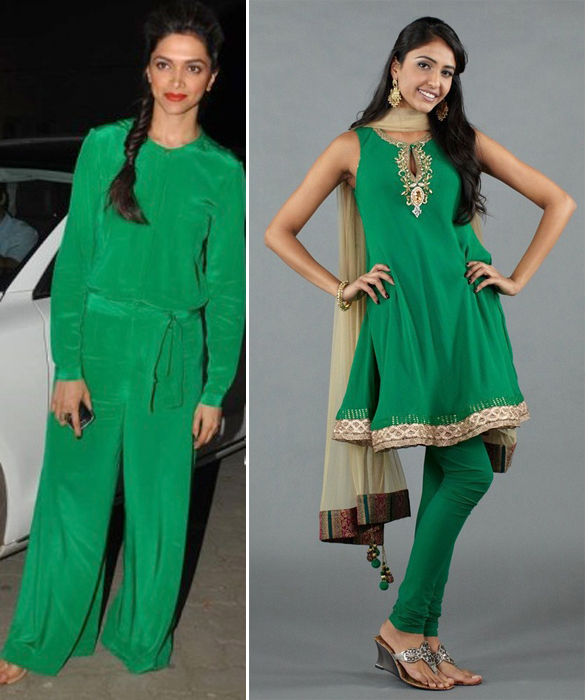 We’d love to know what you think of Deepika Padukone’s style too. Tell us in the comment box below!